3 year old Jonathan conducting to the 4th movement of Beethoven’s 5th Symphony. This piece was conducted by Herbert von Karajan and the Berliner Philharmoniker, one of Jonathan’s favorite conductors and orchestras. Jonathan’s passion for classical music became apparent when he was only eight months old. Shortly after that he began conducting on his own. 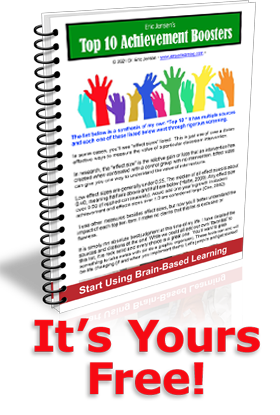 What Brain Insights Can Boost Your Student’s Classroom Success? 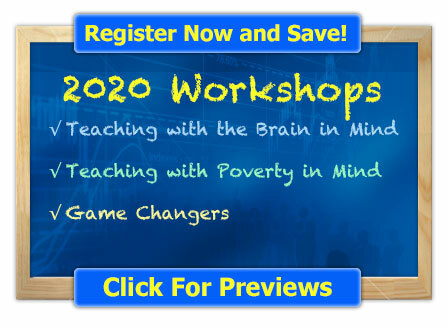 This month, we’ll focus on how you can get your brain (and your students’ brains) to work better. There are countless ways we could go about this process, but since it’s the beginning of a new year, we’ll focus on what contributes to us feeling happy, smarter and even losing weight. Best of all, every one of these insights are free! Over Half of all Teachers Make These 2 Mistakes. The first mistake (over 50% of all teachers make) is selling yourself short. You have far more influence than you think. The “Big Four” in teaching are: effort, behavior, cognitive capacity and attitude. When you strengthen these four, your students improve dramatically. The good news is that every one of these is teachable. Our featured “Extreme School” is an elementary school in St. Cloud, Minnesota. This high-poverty school had struggles for years. From 2006 – 2009 the school struggled to make annual yearly progress every year, missing in four and sometimes eight academic areas. Today, the school is different; it’s a high achieving school that does well in every single content area. The kids are the same, but the school is different. Do you have more self-control than a chimpanzee? As we get closer to the start of the holiday season, we learn about one of the most important understandings you’ll ever have about your brain. In fact, for me, it’s one of the top 10 brain-based insights of all time. This understanding is fundamental to the amount of joy you have, your weight (that you’re always trying to manage) and satisfaction in life. In short, this has changed how I understand my own brain and it just may do the same for you. We begin with a simple study about self-control. This month our featured “Extreme School” is a Title 1 high school. What’s unusual about it?…… For the first time ever in the 14-year history of school grades in Florida, this high school achieved consecutive grades of “A”. Never before in the state had a high school with a free and reduced lunch population above 80% been able to earn not just one A, but back-to-back “A’s”. And test scores have been rising every year! Let’s explore the role of attention in your work. This topic is always in the top 10 for requests, so it’s a good time for a review on the subject. Whether you’re a teacher, staff developer or administrator, today’s audience expects quality. You need their attention for explicit learning. For starters, stop telling your audience to “Pay attention!” It sounds pathetic. Why?